The legendary ambisonic marque SoundField pioneered 360° surround-with-height audio capture in 1978, and was acquired by The Freedman Group, home of RØDE Microphones, in 2016. The SoundField by RØDE NT-SF1 marks the first collaboration between the two storied brands. The result is an incredible, broadcast-grade ambisonic microphone for less than USD$1000 – a world first. The NT-SF1 also comes with a blimp-style windshield and fur cover for intensive wind protection, and a shock mount for steady recording. SoundField is also the pioneering company behind the concepts of A-Format™ and B-Format™ audio. The Microphones record in A-Format™ but it is the conversion to B-Format™ that allows a single Ambisonic Microphone to provide 4 tracks that can be manipulated in any direction in post, possess any polarity possible and enable creators to place their sounds wherever they like within the 360° soundfield. 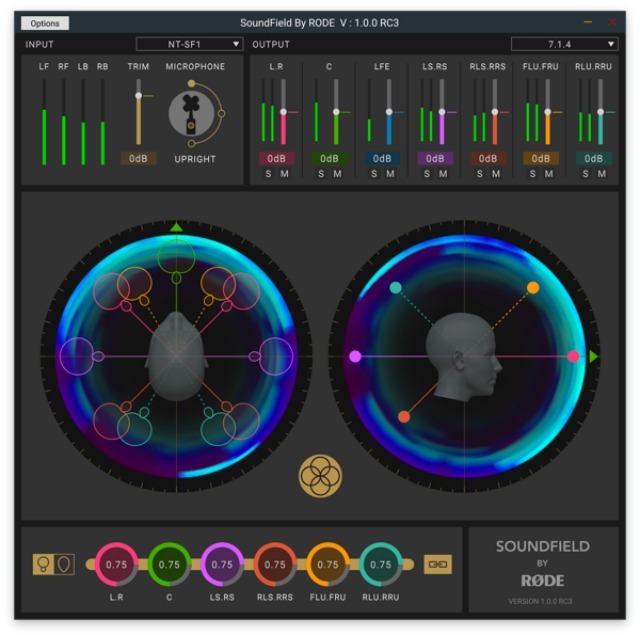 The SoundField by RØDE Plugin is a bespoke companion plugin available for free download on both Windows and Mac and allows users to endlessly reshape their audio. 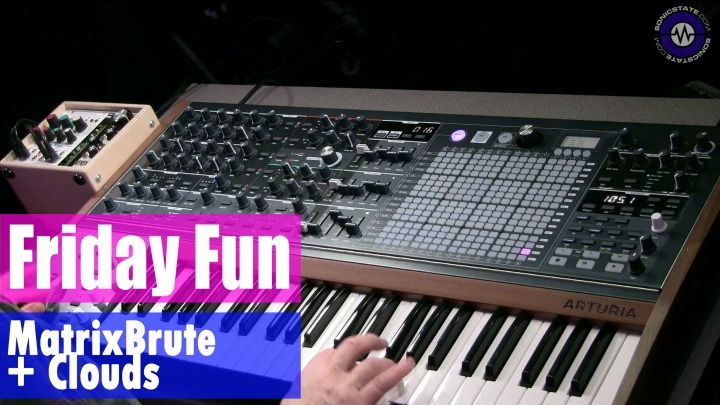 The SoundField by RØDE Plugin is perfectly matched to the NT-SF1 Microphone and operates in a completely different way to traditional ambisonic processors. Eschewing the matrices and correction filters of previous generations, it utilises state-of-the-art frequency-domain processing to deliver unparalleled spatial accuracy at all frequencies. And with the embrace of beamforming technology, B-Format™ can, for the first time, create shotgun-type patterns. The plugin has the standard surround-sound set-ups including Dolby Atmos up to 7.1.4 and is supported by Protools, Q-base, Nuendo, Reaper and Logic in VST, AU or AAX formats, all with RØDE’s legendary ease-of-use. Intuitive, powerful and easy to learn, the SoundField by RØDE Plugin is also a visual feast, with unique sound level visualisation providing immediate feedback into levels and soundscape, whilst ‘advanced’ mode opens up all parameters and controls for the ultimate in sound shaping.